← You Are Not Broken! Mystery, suspense, reality television and revenge all come crashing together in this entertaining story. Where did the idea for Thawing A.C. Nielsen originate and develop into a novel? 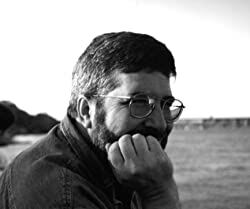 The idea for the book originated with, frankly, my disdain for reality TV and the self-importance of the people on those shows, as well as the show producers making fortunes. When I began the book I thought, who better to take down reality TV than an icon from the past–namely, the real A.C. Nielsen. Of course, once you read the book, you will realize that my original goals shifted quite a bit (can’t say more–spoiler). Savvy readers will notice clues as to the real-world reality TV celebrities that the characters Khail Santana and Dimi Konstantos are based on! The protagonist joins up with ExitStrategy, a facility devoted to cryogenics and the revival of the dead. Did you do a lot of research into cryonics for this book? When writing Thawing A.C. Nielsen, did you want the novel to be satire first, or science fiction first? Great question! It is satire first, for sure. The sci-fi cryonics was just a means to a satirical end. Genre-wise it is a mix of sci-fi, satire, medical mystery, and plenty of humor. Overall, I think the mixing of genres makes the book unique. As far as the scifi category goes, I am proud that the book is not one of a million books categorized as dystopian. There also are no spaceships or aliens, but I do work David Brin’s bestseller Startide Rising into the book in a significant way. I find that good authors have an ear for speech and dialogue. What’s the best way you find to capture natural prose? I have to believe the characters are real people and I am just eavesdropping on their conversations. I sort of see them in my head and learn their personality from them. I also have to get inside their heads and spy on their secrets, their weaknesses, and then tumble them out to the reader at appropriate times. I’m 75 percent done with a middle-grade wacky scifi yarn called “The Grandma Apocalypse”, an alien invasion story set in a sleepy central Illinois town during the 1960s. There are humorous threads relating to “The Princess Bride” which tie things together in an odd way. It’s all about DNA-stealing aliens, snickerdoodle cookies, cats &goats, sweet tea, mind control, multiple dimensions and so on. 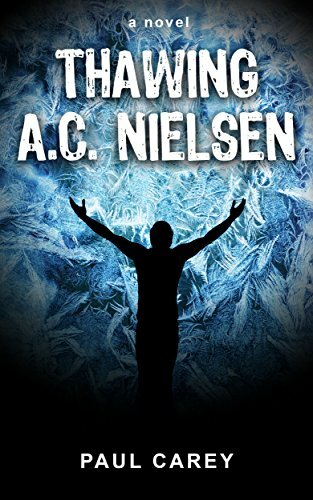 After that I am writing a sequel to “Thawing A.C. Nielsen”, which will be quite a bit darker. The working title is “The Mozart Murders”. Mozart is in the book in sort of a Voldemort way, and he’s a pretty bad dude–not the wacky Mozart of the film Amadeus. I don’t have a publication date yet for these two new creations.Thanks for the great questions! Brilliant young microbiologist and self-professed lab rat Kate Pearson has just landed her dream job, although she worries it might turn into a frozen nightmare. She’s been hired to discover a way to successfully revive people who have been in cryonic deep-freeze stasis for years at the Chicago firm ExitStrategy, a company founded by scientist Mike “Cold Smokey” Burgess, holder of dozens of major patents. Kate is succeeding Dr. Enzo Saltieri, Mike’s partner for years, who has died suddenly under strange circumstances. As Kate sifts through mountains of Saltieri’s scribbled-upon legal pads she finds paths that lead nowhere. 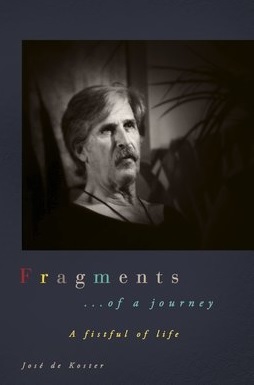 Was Saltieri on the verge of great discoveries or just sinking into the illogical world of dementia? Along the way, Kate has to deal with Miles Coleman, a sarcastic idiot savant assistant at the lab who’s hiding his true identity; Gloria Dunham, a famous former Hollywood actress, now ninety years old and bent on taking over control of the company; plus reality show egomaniacs Dimi Konstantos and Khail Santana, megastars who’ve been polluting television’s airwaves for years. After Kate has some success reviving lab animals frozen in the 1980s such as Mr. T, the guinea pig, and John Cougar, the housecat, her attention turns to the first human subject, famous TV ratings guru A.C. Nielsen, who has been frozen at ExitStrategy for twenty-five years. Between Mike Burgess’s lofty expectations, hidden research files, secret medical procedures, switched identities, drugged drinks, randy Irish folk musicians, beefy bodyguards, plus the likes of Miles, Gloria, Dimi and Khail—Kate begins to realize that reviving A.C. Nielsen and stumbling upon a major medical discovery may actually be a stroll in the park. Posted on October 15, 2016, in Interviews and tagged amazon, amazon books, author, author interview, book, book review, books, cryogenics, ebook, ebooks, facebook, fantasy, fantasy book review, fiction, goodreads, interview, kindle, literature, Movie, mystery, novel, paul carey, publishing, reading, reality television, revenge, review, reviews, satire, sci fi, science fiction, science fiction book review, stories, suspense, thawing ac nielsen, thriller, tv, twitter, urban fantasy, video game, writing. Bookmark the permalink. Leave a comment.